With more colours than Joseph’s Amazing Technicolour Dreamcoat, Bright Lights is one of the best looking vegetables around. The stems (or chards) are a veritable rainbow of colours: red, orange, white, pink, cream, yellow and gold. The foliage shows great diversity in tone and texture from deep bronze to dark green. Bright Lights is so beautiful to look at that its easy to forget that its real strength is as a vegetable. It is vitamin rich and nutritious and one of the easiest of all vegetables to grow. A prolific grower with a long cropping season, it tolerates poor soil and inattention. Chard is a cool weather vegetable and will withstand a mild frost. It also puts up with dry weather well, and will give you tasty spinach type leaves for up to 12 months from a single sowing. It is a good choice for the beginner or busy gardener. 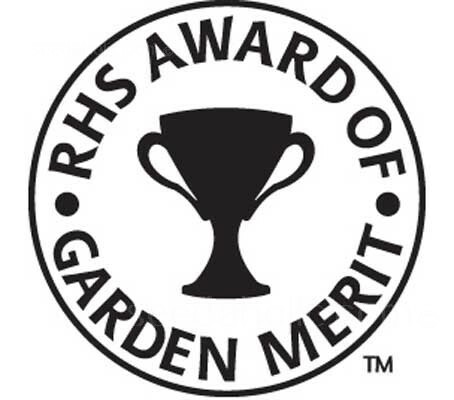 • Awarded the Royal Horticultural Society’s Award of Garden Merit (RHS AGM). 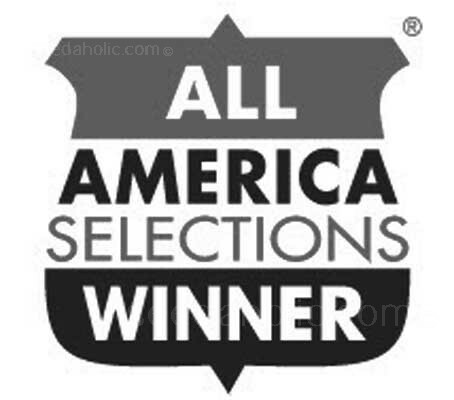 • It is also a 1998 All American Selection Winner. Our local town of Westport has used Bright Lights in their bedding schemes, combining with annuals and traditional bedding plants throughout the town to stunning effect. Westport in Co. Mayo is the winner of Irelands Best Kept Town award three out of the last five years. You can grow Chard in most parts of the garden as long as it is not in deep shade but will give a better yield when in a sunny spot. They require a good draining soil but that's their only key requirement soil-wise. While this plant is very forgiving and will grow where the soil is the poorest, like any plant this prolific grower will respond to compost, manures and fertilisers. One planting will almost always last the season, so plan a permanent place for it. Chard grows well in a soil of around 6.5 - 6.8 an acidic soil will stunt growth. It is resistant to most plant diseases. Sow from early spring to avoid the final hard frosts. Chard is normally sown directly into the soil, but for an early crop, a few seedlings can be started indoors. Transplant them outdoors when the night temperatures are at a min. of -2°C (28°F). It will sprout fairly early, and will not be harmed by spring frosts. Sow in Spring as soon as the soil can be worked. Sow the seed thinly 5cm (2in) apart at a depth of 1cm (½in). If growing more than one row, space the rows about 38 to 45cm (15 to 18in) apart. The seedlings will appear in about 15 days and should be watered for the first month or so if conditions are dry. The plants will need thinning to about 15 to 25cm (6 to 10in) between plants. If left until around 15cm in height before thinning then the thinned plants can be treated like an early harvest and the young leaves will be extremely tender and tasty. Chard are hardy vegetables and will grow with little or no attention. Their main need is for weeding. This can be done by regular hoeing. An alternative is lay black plastic and let the plants grow through this. Black plastic is particularly useful for Swiss Chard because they stay in the ground for so long. To minimise the bitter mid-summer taste, make sure the plants get plenty of water. Chard is sturdier than spinach and can cope better with water shortages, however you should still water regularly to ensure optimum growth and prevent bolting. Bolting leads to premature flower and seed production and will divert the plants energies away from leaf growth. If a flower stalk develops then clip it off to extend the harvest. Harvesting: 25 days for baby leaf and 50 days to maturity for bunching. Chard can be picked as soon as the leaves are large enough to harvest, usually in four to six weeks. The best leaves for salads are the younger leaves, about 8cm /3in long. Chard is a pick and come again crop use a knife rather than pulling off the leaves. For multiple harvests from the same plant simply pick the outer leaves and leave the inner younger leaves. Be sure not to damage the central terminal bud at the centre of the young growth. You can also if you wish harvest the whole plant. Let the outer leaves grow as big as you want. If you can't eat it as fast as it is producing, cut and discard leaves as they begin to wilt. If the patch gets out of hand, do major surgery on the leaves. The inner leaves will take their place quickly. As the weather cools, the leaves are their tastiest, if they turn a little too bitter in mid-summer, make sure to come back to them later. Harvests until the first hard frost, many gardeners pick Chard as late as Christmas. After picking the leaves simply wash and add to salads or wash and then quickly heat in a pan using only the water that clings to the leaves after washing. This will avoid overcooked soggy leaves. Chard does not store well so should either be eaten within a few hours of picking or stored in the salad box of the fridge for a maximum of 3 days. Chard is very popular among Mediterranean cooks. The first varieties have been traced back to Sicily. It has been around for centuries, however because of its similarity to beets is difficult to determine the exact evolution of the different varieties. Chard and the other beets are chenopods, a group which is either its own family Chenopodiaceae or a subfamily within the Amaranthaceae. Although the leaves are eaten, it is in the same group and subfamily as beetroot (garden beet), which is usually grown primarily for its edible roots. Chard, Beta vulgaris subsp. cicla is a sub species of Beta vulgaris, the beetroot and has been bred to have highly nutritious leaves at the expense of the root. It has shiny, green, ribbed leaves, with stems that range from white to yellow to red, depending on the cultivar. The word "Swiss" was used to distinguish chard from French spinach varieties by 19th century seed catalogue publishers. Chard is also known by its many common names such as Swiss chard, Silverbeet, Perpetual spinach, Spinach beet, Crab beet. Seakale beet. Leaf Beets and Chard– What’s the difference? Leaf beets are of two types, depending on whether or not a thick leaf midrib and petiole are present. Perpetual spinach or Spinach beet (Beta vulgaris var. cicla) is grown for its leaves, which are used as greens or a potherb. It is distinct from spinach (Spinacia oleracea) and New Zealand spinach (Tetragonia expansa). Spinach beet does not have a thickened leaf midrib or a thickened petiole (leaf stem). It also lacks a swollen taproot of Beetroot. (Beta vulgaris subsp. vulgaris). Spinach beet has never been bred intensively and there is no tradition of distinct cultivars. Three European varieties were proposed by Helm in 1957, based on foliage colour, but this classification has not persisted. Perpetual spinach is usually sold generically as 'spinach beet' or 'leaf beet'. However, the exception to the rule is the Italian cultivar of perpetual spinach called Erbette, which is listed in seed catalogues. Chards are grown for their foliage and in particular their thickened leaf midribs and petioles. As with spinach beet, there is no swollen taproot. Although some leaf beets have fairly thick roots, they are never fleshy. The white root of chard has in times past been consumed medicinally, in the form of infusions, and very occasionally as food, for example, in times of hardship. Chard is often used synonymously with Swiss chard, but older chard varieties are sometimes considered to be distinct from Swiss chard. The word Swiss was used to distinguish chard from French spinach varieties by 19th century seed catalogue publishers. Several types of Swiss chard can be distinguished, based on petiole or leaf midrib colour and other characteristics. Swiss Chard is sometimes also called seakale beet or silver beet. Lucullus is one of the oldest chard varieties and it has green leaf blades and white petioles. The variety ‘Fordhook Giant’ is said to be a descendent of Lucullus. 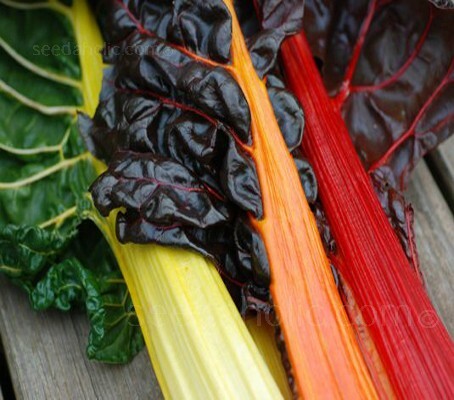 Chards occur in many colourful forms, including Bright Yellow Chard and Ruby or Rhubarb Chard. A popular recent introduction is Bright Lights Swiss Chard, an improved chard that has leaf midribs and petioles that occur in a mix of colours. Will give a better yield when grown in a sunny spot. Direct sow from early spring. Sow successionally.